AKIPRESS.COM - Minister of Food, Agriculture and Light Industry Ch.Ulaan paid a visit to Russia on March 13-15. During the visit, the Minister held bilateral meetings with the country’s Minister of Agriculture Dmitry Patrushev and State Secretary - Deputy Minister of Industry and Trade Viktor Evtukhov, talking on the opportunities to increase trade and eliminate trade imbalance between the two countries and raise Mongolia’s export to Russia including agricultural products such as wool, cashmere, and hide, Montsame reports. The agriculture ministers pointed out that first and second phases of the project on improvement of livestock health in Mongolia have been completed successfully under bilateral agricultural cooperation and expressed their interest in co-implementing the third-phase. 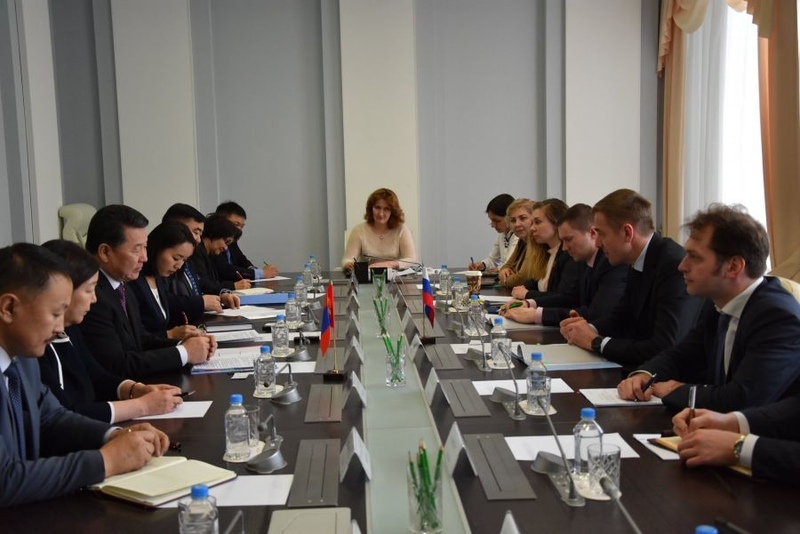 Minister Ch.Ulaan put a proposal to work together in raising Mongolia’s export of meat and meat products to Russia and to establish a complex of joint meat factory and at the border area. For his part, Russian Agriculture Minister Dmitry Patrushev stressed that the amount of agricultural products in total trade turnover between Mongolia and Russia has been growing constantly in recent years. In conclusion, the sides agreed to cooperate in bringing purebred livestock from Russia to improve livestock quality of Mongolia and to collaborate with research and academic institutes of the country on protection of livestock gene pool. In the meeting with Mr. Viktor Evtukhov, Minister Ch.Ulaan underlined this year marks the 60th anniversary of development of virgin land cultivation and independent agriculture in Mongolia and expressed his interest in continuing the project on renovation of agricultural machinery. Accordingly, the sides decided to organize an agricultural expo this fall on the occasion of the aforementioned 60th anniversary. Present at the meeting were Mongolian Ambassador to Russia B.Delgermaa and Head of Veterinary and Animal Breeding Agency D.Tumendemberel. Moreover, during his visit, the Agriculture Minister together with Ambassador B.Delgermaa and other officials laid wreaths to the ‘War Horses’ monument which was gifted by the people of Mongolia on the occasion of the 70th anniversary of the victory of the Great Patriotic War.